Birmingham City University is proud be putting the Arts into STEM with STEAMhouse. 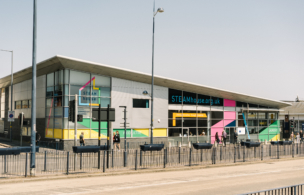 STEAMhouse is more than a makerspace, it’s a new collaborative centre for business innovation and creation, located within Digbeth, Birmingham City Centre and is part funded by the European Regional Development Fund. Launching a new product or service to market is hard. Even established, well-respected brands find it tough, costing them a fortune in R&D and marketing resources. No matter how big the ambition or great the idea, the reality for a SME to bring a new product to market can be daunting, especially with limited funds and resources available to them. Access to the right facilities to design, build and stress test your concept can be a massive hurdle but if your new product idea can’t be properly tested or developed, where do you go from there? 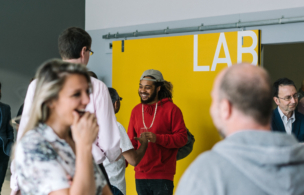 A bright future for Birmingham and the surrounding areas Entrepreneurs and small businesses within the Greater Birmingham and West Midlands regions have not had access to STEAM focussed collaborative makerspace facilities and advice before.